This is a guest post from my buddy Michael Restivo a fellow climber, freelance writer, and blogger at Mike Off the Map. Take it away, Michael. 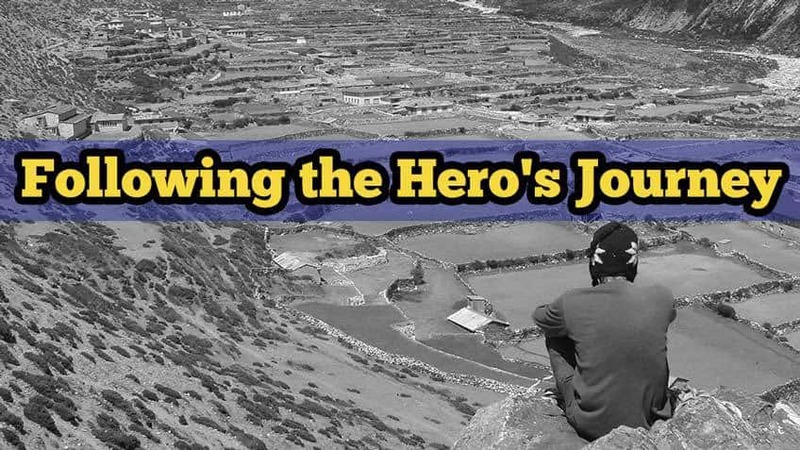 The writer Joseph Campbell once described what he calls “The Hero’s Journey”. It’s an archetypal story that repeats from ancient Greek mythology, to the Star Wars trilogy. While we aren’t slaying creatures, saving kingdoms, or defeating evil empires, we crave adventure. We are born not only to live in this world, but also to explore it; delving into the unknown in search of who we are. From the moment that we’re crawling, we want to stand taller, we want to communicate with those who we momentarily don’t understand, and whether we like it or not, we’re driven by our curiosity to understand what’s around us. From the moment I knew that I could climb, I heeded the call to adventure. I knew absolutely nothing about myself, never realizing what potential there was in, what I saw, at the time, an afternoon activity to stay fit. I had unknowingly set myself on a course that would encourage searching for bigger challenges and steeper faces. Less than a year from the first time I laid hands on a gym rock wall, I crossed the threshold, and was on a plane bound for Southeastern Utah, where I would climb my first outdoor route, Ancient Art. In a dusty hostel on the edge of town, I began to hear whispers of blogging, and adventure travel writing, but not believing that it was a viable career option. Nonetheless, five months later, I launched Mike Off The Map. I fell into a community of writers, climbers, and outdoorsman, all who had successful websites, blogs, and who had been on monumental journeys. Instead of competing against one another, they took me in, advised and guided my success, helped to promote the website, and bred my followers. Social networking was no longer intimidating, and this community of strangers became close friends. Thus, I had met my mentors. Less than a year after launching my blog, and full of over-confidence, I flew to Washington to make my first attempt on Mt. Rainier. It was to be my ordeal. Just in sight of the summit, we walked into a storm that shook me to the core, and after turning back, it nearly made me swear off my climbing life. I returned from that trip with broken confidence, a sort of descent into an underworld. Only weeks later, I drove to West Virginia’s New River Gorge, determined to find my confidence again. Spurred by my climbing partners, I climbed my hardest routes yet, and rediscovered my strength. It was the rescue from without. I crossed my return threshold when I decided to move to Seattle, a city I felt would develop and nurture my alpine dreams. In the past year, I learned to climb on ice, ticked off alpine rock routes, met inspiring mentors and climbers, and the site continued to grow. In microcosm, I had repeated the cycle, ultimately ending with my rebirth and realization of what I was truly wanted to do. This was the road back to rediscovering that fire that I had when I first learned to climb. I had gained new knowledge and new skills, and I had trained myself into the best physical condition of my life. I was ready to return with the elixir. On August 12, 2014, I stood on the summit. There’s a fierce sense of adventure that lurks deep within our psychology. It’s a life of sacrifice, simple living, storytelling, and inspiring others to seek out the dangerous and the unknown. People ask what it’s truly like. It takes embracing trial and failure, and viewing it as part of a larger cycle. We’re all heroes of our own story, but the question is, when that call to adventure comes, will you answer it? Michael Restivo is a Florida-raised climber and writer currently residing in Seattle, Washington. 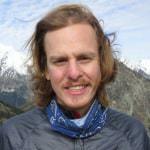 Michael has a passion for all things mountain, developing a love for alpinism, mountaineering, and skiing. When he’s not traveling or climbing, he works in a ski shop and develops content for outdoor industry brands. He previously has lived for extended periods of time in Italy and Nepal, and retains a strong interest in art, history, and food. Follow his adventures at Mike Off the Map and on Twitter @mikeoffthemap.